University of Florida eliminates Computer Science Department. At least they still have football. Wow, no one saw this coming. The University of Florida announced this past week that it was dropping its computer science department, which will allow it to save about $1.7 $1.4 million. The school is eliminating all funding for teaching assistants in computer science, cutting the graduate and research programs entirely, and moving the tattered remnants into other departments. Let's get this straight: in the midst of a technology revolution, with a shortage of engineers and computer scientists, UF decides to cut computer science completely? Students at UF have already organized protests, and have created a website dedicated to saving the CS department. Several distinguished computer scientists have written to the president of UF to express their concerns, in very blunt terms. Prof. Zvi Galil, Dean of Computing at Georgia Tech, is "amazed, shocked, and angered." Prof. S.N. Maheshwari, former Dean of Engineering at IIT Delhi, calls this move "outrageously wrong." Computer scientist Carl de Boor, a member of the National Academy of Sciences and winner of the 2003 National Medal of Science, asked the UF president "What were you thinking?" Meanwhile, the athletic budget for the current year is $99 $97.7 million, an increase of more than $2 million from last year. The increase alone would more than offset the savings supposedly gained by cutting computer science. Now, I'm not saying that UF has chosen football over science. Actually, the real villains here are the Florida state legislators, who have cut the budget for their flagship university by 30% over the past 6 years. "At a time when the number of graduates of Florida's universities in the STEM [science, technology, engineering, and mathematics] fields is not projected to meet workforce needs, the establishment of Florida Polytechnic University will help us move the needle in the right direction." Heads up, Gov. Scott: no one is going to believe that you're supporting technical education when your flagship university is eliminating its Computer Science Department. Since cutting support for universities seems to be a major agenda item for you and the legislature, why stop at 30%? With just a bit more cutting, you could get rid of those annoying universities entirely. Let the rest of the country worry about higher education! Florida can focus on orange groves and golf courses. Oh, and football. Eat more chocolate! Lose weight! It's a holiday weekend, and many of us will be eating chocolate, especially chocolate bunnies and chocolate eggs. (Where does that come from, anyway? Bunnies don't lay eggs.) We don't really need an excuse to eat chocolate. But isn't it wonderful when a scientific study tells us that we should? Even the skeptics among us really want to believe that eating chocolate is good for you. Last week, a new study in the Archives of Internal Medicine claimed that eating chocolate more frequently is associated with a lower body-mass index, or BMI. The study's authors carefully stated their results as a "link," but then they went on to say that other evidence would "suggest the association could be causal." Of course the media ate this up (pun intended), with headlines like "The Chocolate Diet?" at The New York Times. The Times story was filled with caveats, pointing out that it was frequency of chocolate consumption (how many times per week you eat it) that was associated with lower body weight, and that people who simply eat more chocolate tend to be, well, fatter. Surprise! Because the thinner people in the study ate less chocolate overall, they must have eaten much less at each sitting. They claim to exercise 3.6 times per week, on average. They report eating chocolate 2 times per week. We all know how this works. Even though the questionnaire is anonymous, we still want to look like we're doing the right thing. So we over-state how often we exercise (3.6 times per week? ha!) and we under-state how often you eat unhealthy foods. 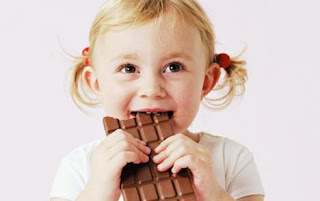 The entire result can be explained by a tendency of thinner people to admit eating chocolate more often. Observational studies like this one are notoriously unreliable. "Both of these studies were classic examples of what is known technically as observational epidemiology, a field of research I discussed at great length back in 2007 in the New York Times Magazine. I made the argument that this particular pursuit is closer to a pseudoscience than a real science." "I pointed out that every time that these Harvard researchers had claimed that an association observed in their observational trials was a causal relationship—that food or drug X caused disease or health benefit Y—and that this supposed causal relationship had then been tested in experiment, the experiment had failed to confirm the causal interpretation—i.e., the folks from Harvard got it wrong. Not most times, but every time." 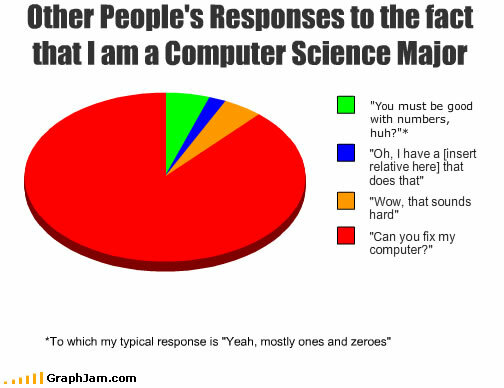 A zero percent validation rate - it doesn't get any worse than that. Taube makes a very good case that the whole "nutritional epidemiology business" is pseudoscience. You just can't go around asking people what they eat and expect to get reliable answers. So nope, it just isn't so, no matter how much we'd like to believe it. Eating chocolate isn't going to lower anyone's BMI. But the really important question is, which part of the chocolate Easter bunny do you eat first? I go for the ears.